On November 7, Seoul National University awarded 2017 Distinguished SNU Members to Dr. KIM Jaegwon, professor emeritus of Brown University, with other four alumni and faculty. Dr. Kim is the renowned philosopher who authored 'Philosophy of Mind', a text-book in metaphysics. Kim had studied at SNU's Department of French Language and Literature during 1953-1955, before he went to the US to study philosophy. He received his PhD from Princeton in 1962 and has taught at Swarthmore College, the University of Michigan, Cornell University, and Johns Hopkins, as well as at Brown, both from 1963–67 and since 1987. Kim is past President of the Central Division of the American Philosophical Association and a fellow of the American Academy of Arts and Sciences. Unable to receive the award in person for he is living in the US, he sent his acceptance letter to the university, saying "At this point in my life, I cannot dream of anything more personally rewarding and gratifying than having this honor." Below is the full acceptance letter of Dr. Kim Jaegwon. My years in senior high school, in Daegu, coincided exactly with the Korean War. We were a few months into the new school year when the war started. As some of you here would know, that was June 1950, on a Sunday if I remember correctly. The war ended in three years, in 1953, and that was the year I took my examinations for admission to Seoul National University -- more specifically, the Department of French Language and Literature. I remember taking the test, in particular the English exam, because it had a problem to which I knew the "official" answer, which seemed wrong to me. As a I recall, it involved a choice between "to the south" and "on the south". The reason I chose the French program was that throughout my high school years, I was an aspiring poet/writer. I dreamed of going to Paris, renting a little room on the Left Bank and spending my days writing poetry. So during the last two years of high school I taught myself French, acquiring a basic reading ability, and this enabled me to take the French language portion of the SNU entrance exams. The exams took place in Busan, where SNU had a temporary home at the time. This was a group of ramshackle wooden buildings on a hill, on the outskirts of the city. I still remember the bare ground that served as floors in classrooms and the muddy pathways when it rained. But none of this mattered. It was tremendously exciting to take classes on topics I really loved. And from professors whose knowledge and insight seemed to go far beyond anything I knew. I remember professors Lee Hwi-young, Kim Boong-gu, Son Woo-sung, and others. I still remember the excitement of reading scenes from Racine's play "Phèdre". I devoured novels by French Existentialists, like Sartre and Camus. Existentialism was the hot, new thing then. I thought: How could life be better than this? To be a fresh college student and reading French poetry and fiction? At Seoul National University? That was indeed a dream come true! As for philosophy, I took a survey introduction from Professor Koh Hyung Gon. 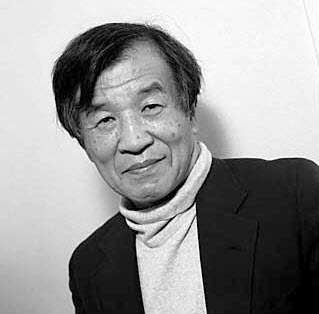 Professor Koh had a distinctive style. He was an impressive lecturer, and I have a distinct memory of him in the classroom. But I remember nothing of what he said, or even what the course was about. I believe I received a grade of B or C; I was just glad I passed the course. Time passed, and I found myself in the first semester of my third year at SNU. One sunny spring day, an outdoor blackboard had a message scrawled on it: "Kim Jaegwon is asked to see the Dean of Students". It seemed like some bad news was waiting for me. When I showed up at the Dean's office, I was told that I was one of the two students being recommended for admission to an American college. A few weeks later, I learned that I was the one ultimately chosen by this college. The college turned out to be Dartmouth College, in New Hampshire, a member of the so-called "Ivy League", a group of elite liberal arts colleges in the Eastern United States. It was my good luck that Dartmouth was a good school, and the three years I spent there prepared me well for the rest of my career in the US. 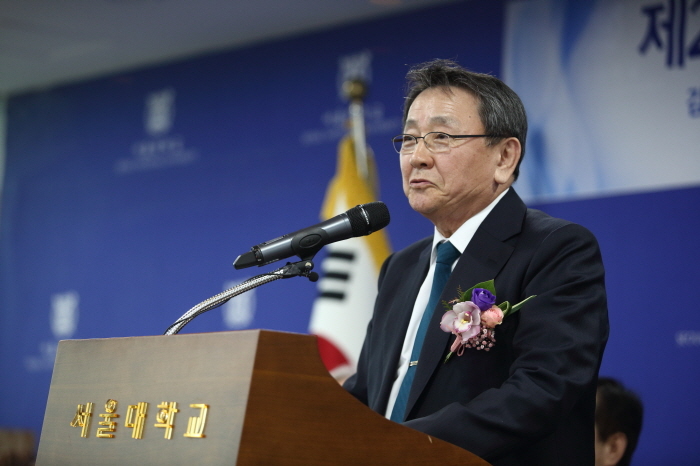 SNU Professor Emeritus CHON Kyung Soo, Dr. Kim Jaegwon's nephew-in-law, received the award for Dr. Kim. I continued my study of French literature at Dartmouth, declaring French as my concentration. But this changed within two years. Two incidents caused me to switch to philosophy. First, in a course on the 19th century French literature, students were asked to prepare a paper on a novel of their choosing. I didn't have enough time for this assignment, so I read the first 20 pages and last 20 pages of Balzac's "Le Peau to Chagrin", and wrote my paper on this flimsy basis. Amazingly, this paper received an "A" grade, which made me feel seriously skeptical about the intellectual standards and rigors of literary criticism. Second, I spent my Christmas vacation in my junior year in a professor's home with an American student. (Dormitories in American colleges generally shut down during vacations.) We often had arguments, and this student, who was a philosophy major, challenged me on virtually everything I said about Existentialism, something I thought I knew pretty well. And he always had the upper hand, giving me great trouble defending my claims. I thought, well, he couldn't be all that smart, it must be his philosophy classes! When the Christmas vacation ended, the first thing I did was to see the chairman of the Philosophy Department about changing my major. After looking over the list of courses I had taken up to that point, he thought there was not enough time left for me to complete a regular philosophy program. So he made up a plan and called it "Modified Philosophy", philosophy supplemented with mathematics and French literature. This makes me recall one incident. Years ago, after giving a lecture at MIT, I was sitting around a dinner table with some of the MIT philosophers. George Boolos, a well-known MIT logician, asked me what my undergraduate major was. When I told him about my "Modified Philosophy" at Dartmouth, he said: "Well, that's what Descartes majored in!" You see: philosophy, mathematics, and French. When I look back on my career over the past 60 years, spanning from the 1950's to this day, the three years I spent at the Arts and Science College of SNU loom very large. We speak of "formative" years. Those three years were indeed my formative years: they are the years that "formed " me, formed what I am today, like it or not. It's impossible to imagine where I would have been, or what I would have become, without those years. And, most importantly, I enjoyed my days at SNU -- I was happy and proud to be a student at this college. I look back on it with fondness and nostalgia. I have a photo of myself with the blue, rectangular badge of the college on the lapel of my suit jacket. My association with the SNU philosophy department continued when I was a Fulbright lecturer here in 1984, spending the fall semester to teach a course. And again in 2000 when I was a visiting professor at the department. I taught a seminar on mental causation. These are among the most memorable experiences of my life. Again, I would like to express my deep gratitude to you all for this honor. At this point in my life, I cannot dream of anything more personally rewarding and gratifying.